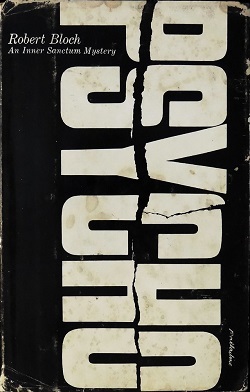 Robert Bloch’s seminal thriller, Psycho, was published in 1959. While viewed as dime store schlock at the time, Alfred Hitchcock recognized the great story within and bought up the movie rights as well as however many copies of the book he could find so no one could read it. While Hitchcock’s movie based on the book would become a smash hit and essentially begin the slasher genre, the book itself would mostly become lost in the shuffle. I am a huge fan of Hitchcock. I am also a huge fan of Hitchcock’s Psycho. Particularly the performance by Anthony Perkins. He is so Mayberry, boy next door in the beginning and then switches to bat sh*t crazy in a heartbeat. Psycho is such a great movie and I love it so much that I’m surprised I’d never gone back to read Bloch’s original novel. So I did. I was surprised how faithful in story the movie was to this book. The story is essentially the same, Mary Crane (Marion in the movie) steals $4,000 from her boss to help pay her boyfriend’s debts and travels to see him. She gets detoured along the way at the Bates Motel. Mary meets Norman Bates and spends the night at the hotel. When she essentially disappears for a week, Mary’s sister travels to see her boyfriend and they both go looking for her. A private detective shows up as well, all asking questions of Norman Bates. What actually happened and who is to blame? Honestly, like I said the story beats are the same. 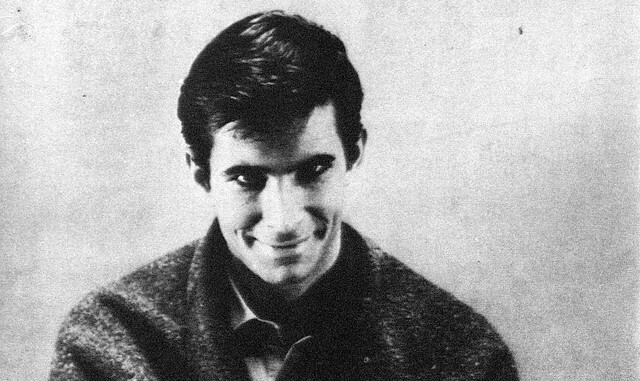 The main differences involve Norman Bates himself. The book makes him the focus. The book begins with a discussion between Bates and his mother Norma. We see the abuse she piles on top of him. It’s almost uncomfortable. We don’t meet Mary until the end of Chapter 1, beginning of Chapter 2. In the movie, we begin with the Mary character (or Marion). I like that this book fleshes out the inner workings of Bates’ mind. We come to understand how he reasons and what happens when he becomes “mother”. Reading it this way, you see the signs much earlier that there is something wrong with Bates. Not only is Bates more the focus in the novel, his appearance is completely different. In the novel he’s short, overweight, balding and wears glasses. This is the polar opposite of Anthony Perkins who is tall and lanky. I like Hitchcock’s choice of the unassuming “boy next door”. Casting to the description in the book would have just screamed, “this guy is creepy”. Perkins does a great job of hiding the creepy until the very end. Before I read, I was concerned this book was going to be too slow and noir-y. I tend to think a lot of Hitchcock and that he elevated a lot of the material he brought to the screen. So I was essentially thinking this book would be a boring schlocky crapfest that Hitchcock recognized the potential of and molded it into the classic movie we now have. I was wrong. This book is well written, moves along very swiftly and wraps up nicely at the end. The building blocks of the movie were there, Hitchcock really only had to change a few things and add a few classic visuals (like the shower scene) to get his movie. I should read the book The Birds was based on to see if it’s as good. Bloch would write two sequels to Psycho. 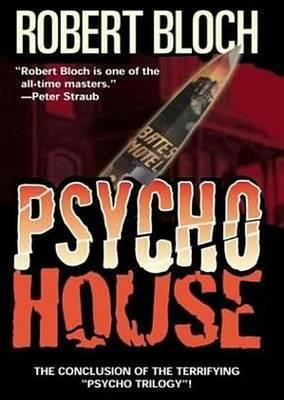 Psycho II would be published in 1982 and the third book in the trilogy, Psycho House, would be published in 1990. Neither of the book sequels were adapted into the movie sequels. 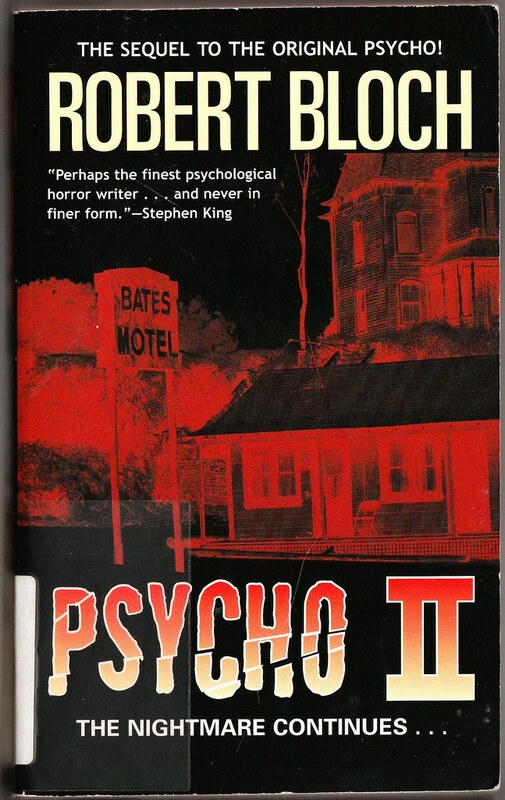 Psycho II the novel would follow Norman Bates as he escapes from the mental institution and travels to Hollywood to visit the set of the movie based on the original Bates Motel murders. Psycho House would see the Bates Motel become a tourist attraction in which murders begin happening again. The second book sounds a little bit like Scream 3. I wonder if Psycho II the book is where Kevin Williamson got his inspiration for that movie. It sounds pretty good and I can see why Hollywood didn’t want to make that movie. Psycho House also sounds familiar. Maybe Halloween Resurrection or even Book of Shadows: Blair Witch 2? Considering how much I enjoyed the first book, I’ll definitely read these sequels. This entry was posted on October 3, 2012 at 8:00 am and is filed under Alfred Hitchock, movies, pop culture, Psycho with tags AWESOME-tober-fest, AWESOME-tober-fest 2012, Book Report, books, Halloween, holiday, movies, Norman Bates, Psycho, reviews. You can follow any responses to this entry through the RSS 2.0 feed. You can skip to the end and leave a response. Pinging is currently not allowed. This was one of my favorite thriller movies, this and Nosferatu!! Hit me up, I might let you borrow it!